It has been almost four months after super typhoon Yolanda hit several parts of the country particularly the Visayas Region and yet the stories of resilience and heroism remain clear in our hearts. 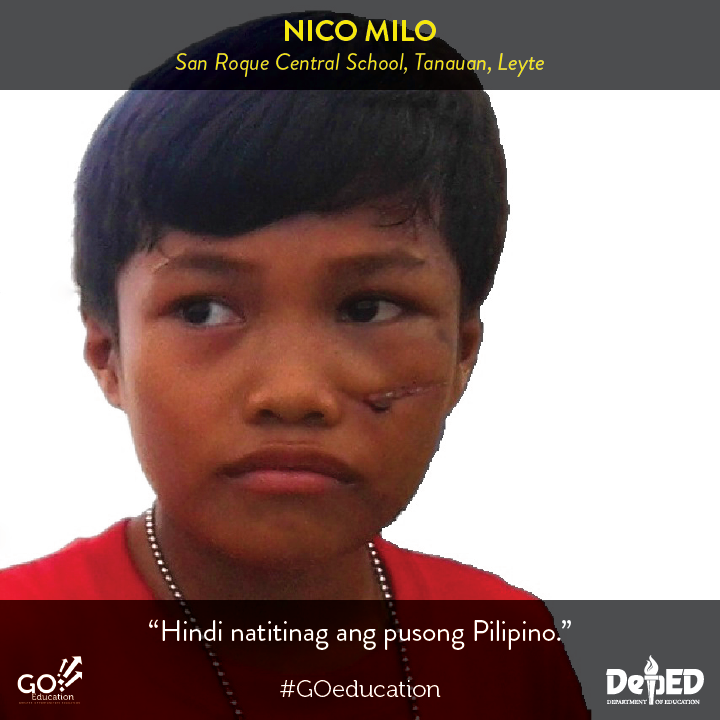 Read Nico's story - the boy who survived, the boy whose heart remained strong amidst adversity. “All of us could swim, so we hurriedly swam to a nearby coconut tree for something to hold on to. I was with my two brothers in one coconut tree, while my parents were on another not far from us. In my mind, it was enough that we have some kind of support we could remain holding on to until the water subsides. But all hopes disappeared when another wave, a bigger one this time, came rushing. It was so huge that it could probably cover the tallest edifice in our municipality. It came so strong and so fast that when it struck the coconut trees my family was clinging onto, we were like fruits being slowly peeled from the tree. "Another wave came crashing. I glanced at my two brothers to make sure they were still there, but they were gone. "That was the last I saw of them. "The next thing I remember was that I was being dragged deeper into the sea by the strong current. I thought I was going to die because I couldn't breathe. And then came darkness. "When I regained consciousness, I was afloat near a worn-out wooden boat. I got hold of the boat--the only thing separating me from life and death--as I was being carried by the waves across three barangays. Along the way, I got struck on the face by a floating galvanized iron. I never cared whether the wound was deep because I was far keener on saving my life. I landed on a shallow ground near the town municipal hall. It was more than 500 meters away from where our house originally stood. My face was profusely bleeding when some people took me in for first aid treatment. The survivor, Nico Milo, is a 12 year old, Grade 5 pupil at the San Roque Central School in Tanauan, Leyte, one of the municipalities hardest hit by the typhoon. Nico is the eldest son of Belinda and Reynaldo Sr., who both perished along with their two sons, Reynaldo Jr. and Carlo. He and his family were residents of Brgy. San Roque situated along the shoreline of Tanauan, Leyte.